Inner paper sleeve has credits on one side, hand-scrawled liner notes on the other. Outer sleeve is printed Inside with flowers using same pattern of the parasol & folding chairs on front cover. 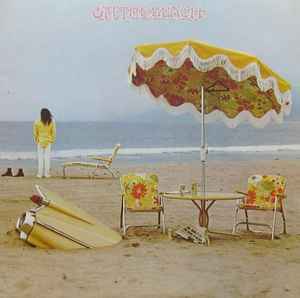 similar to Neil Young - On The Beach but different labels.